I woke up in the hospital. The doctor told me I’d been in a serious car accident (“they cut off the top of the car to get you out…”), and that I’d lost a dangerous amount of blood internally—he told me that he couldn’t predict how things would turn out. My life wavered on that fine margin between life and death. Then all went dark again before they took me into surgery. I awoke in the hospital. Twelve and fifteen years after my car accident, I again found myself in the hospital—these times for the miraculous births of my children. I wept as a witness of the miraculous advent of life. In the days and weeks following both my accident and the births of my sons, I saw life in a clearer way. My heart was tender, my soul was open, and I felt more intensely. I wanted to hold my loved ones more closely, to speak to them more intimately, and to appreciate more fully the wonders—and the astounding fragility—of life. The miracle of birth and the shock of death often wake us up. We realize how precious life is, and how quickly and unpredictably it can slip away. We feel a compelling desire to make the most of our opportunities, our talents, our love. Ideally, we want to become more generous, forgiving, and loving. The advent or end of life can beckon (or hurl) us into an acute sense of clarity of what it means to truly live. 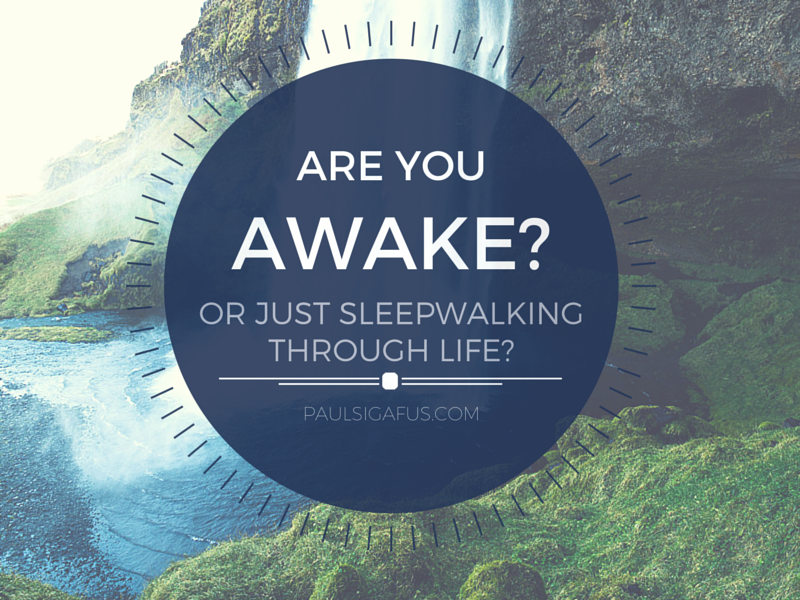 How might we bring this same sense of being truly awake to our daily lives? Without continually being confronted by experiences of birth and death, “small awakenings” are one way to become more fully alive to a sense of wonder and gratitude in your life. What if your loved ones were taken from you tomorrow? What if you lost your sense of touch, sight, hearing, smell, or taste? What if you were never able to talk to a dear friend again? What if you lost your sense of humor, your sense of perspective, or your appreciation for beauty? What if you could no longer breathe on your own? If your life is currently very difficult, consider this: what if you couldn’t even read an article like this—what if you didn’t even have access to inspiring, challenging, or uplifting thoughts?